If your life is like ours, emergencies tend to occur either as we are trying to get five different important things done or late in the evening as we are winding down from our day. All of a sudden a beloved pet has a mystery symptom or suffered an injury and you need your veterinarian to be available right away, not the next day. Aviara Animal Health Center believes that an important part of being your family's veterinarian is making sure you are covered 24 hours per day/seven days per week should your pet need emergency care. During our regular business hours we are fully prepared to handle a wide range of emergencies. 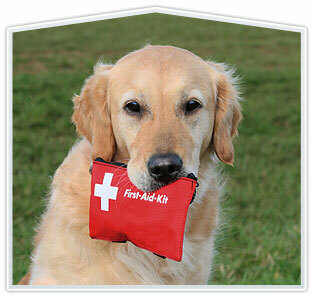 We do ask that you call prior to coming in, if possible, so that we can be prepared for your arrival or refer you to an emergency veterinary practice if your pet is suffering a particularly severe emergency.